The less sporty among you must already regret they came here. The WHAT ?! HIIT, or High Intensity Interval Training, you name it. September started a week ago, and we are monday : it’s the perfect time to start working out again, if you haven’t yet. What is better to start than a great method which burns fat effectively AND fast ? I’m in, are you ? 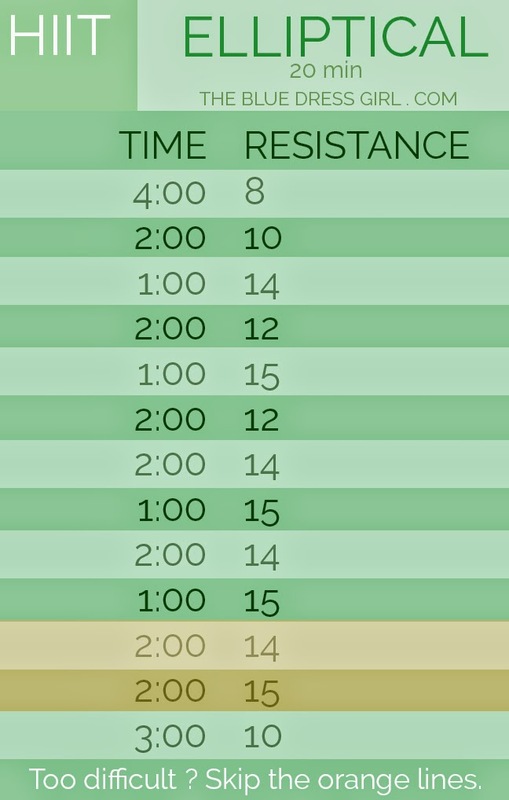 HIIT is a training method which uses the interval technique. You are going to alternate between short sessions of intense effort and longer sessions of moderate effort. I will take running as an example : you are going to run at a moderate pace during 3 minutes, and then you will sprint as fast as you can during 30 seconds, before going back to a moderate pace during 2 minutes and sprinting again during 30 seconds… etc. A full session lasts about 30 minutes and will be much more effective to lose fat and improve your endurance than an hour of moderate running. This will significantly save your time (but not your effort) ! It is important to hydrate during the day, especially if you are working out. Why is this training method more effective ? When you do HIIT (yes, do it ! ), your body will make several sudden and intense efforts (the 30 seconds of sprint). This is called the anaerobic activity. These intense efforts contrast with the moderate ones (the 2 minutes of running), called aerobic activity. The anaerobic activity, in opposition to the aerobic activity, will force your metabolism to use its fat reserves more than usual, without even damaging your muscle mass. Moreover, the effect will last : several hours after your training, your body will keep burning calories, thanks to the effort you made. 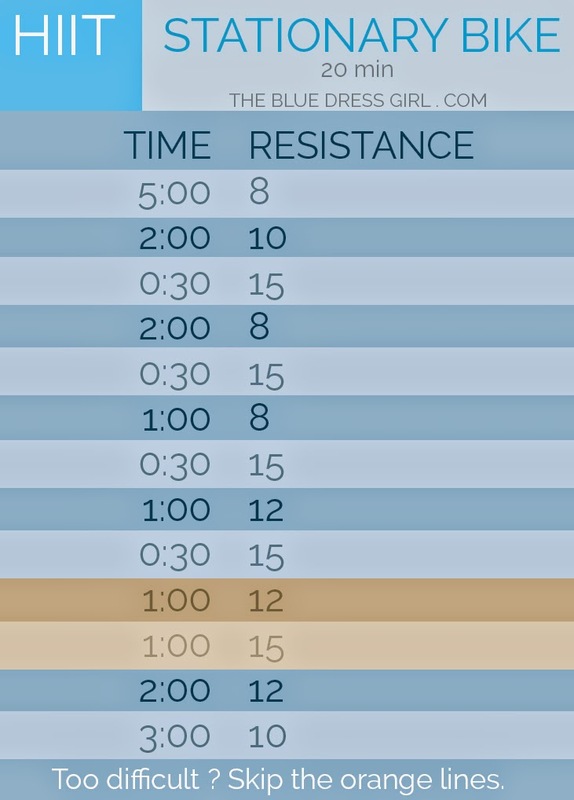 ➜ A HIIT session should not last more than 30 minutes : this is fast, and effective. ➜ There will be results : if you train 3 times a week (you have to be consistant though) and eat healthy meals, you should see the first changes on your body at the end of the first month. ➜ Your are going to lose fat, not muscles. With this method, muscle mass is preserved. But be careful : this won’t develop them either (see the cons hereafter). ➜ HIIT is a type of cardio training. This type of workout is great to lose fat, but this won’t make your muscles grow. For a toned and harmonious body, I strongly recommend you to do strengthening exercises too. If you are not used to weightlifting, don’t worry, using your body weight or small dumbbells is fine already. You will find on the Internet or on the blog, in the Beauty category, some simple exercises. Doing Pilates (with the help of the amazing Cassey Ho) can also be a good compromise. Despite their apparent simplicity, these exercises are very effective (I dare you to do them without trouble !). I advise you to do 3 HIIT sessions per week + 3 to 5 five strengthening sessions (like Pilates) + having an healthy and balanced diet and you will get results that might surprise you ! ➜ HIIT is a difficult training for the less sporty people. I advise you to go slow at the beginning. Always start your session with some stretches and 5 minutes of warm up (moderate running). See how your body reacts, be attentive and learn to know your limits. If you suffer from heart problems, or are in a bad physical condition, I strongly advise you to see your doctor before doing this type of workout. 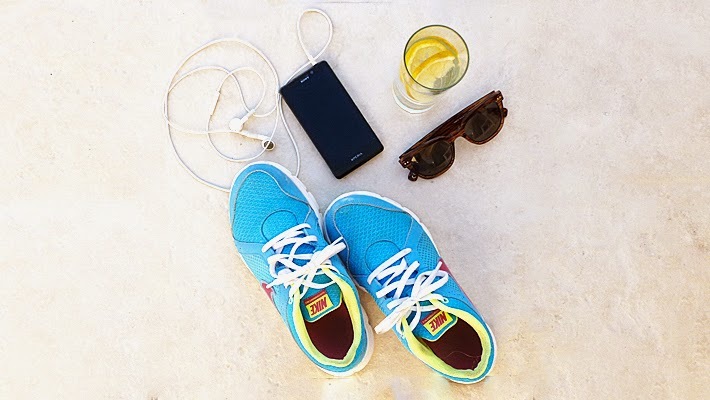 or smartphone to easily have them with you when you workout. Good luck ! is the same, apart from a small detail… We reverse the situation ! Two minutes of intense effort and thirty seconds of recovery… Do you think you can do it ? I love this post! Especially the encouragement that now is as good of a time as any to start! HIIT is great for getting a jumpstart on fat burning. I have been getting into HIIT for the last couple of months, but have been sticking only to running (either a track workout or treadmill). I love the idea of switching it up between biking, running and the elliptical though. 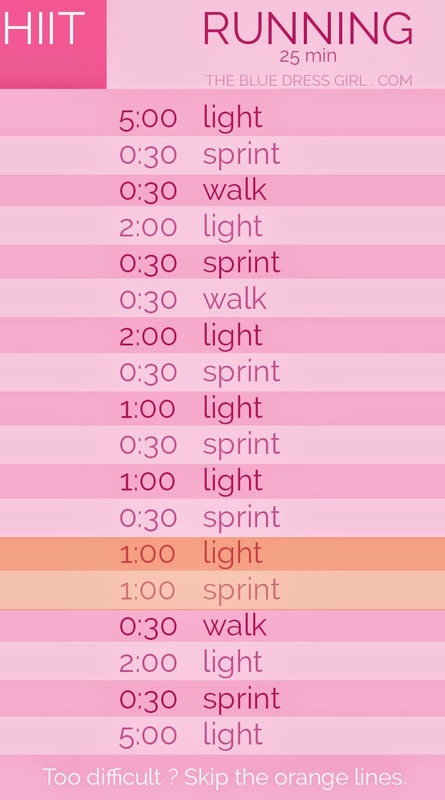 I was wondering if you would recommend doing three of each HIIT sessions you posted a week, or sticking to one type of session but then switching to another the next week. I’m not sure if it really matters or not, but I was just curious to hear what you thought. Thank you! Hi Kerry ! Thanks for your comment ! Actually, I would recommend to switch between the three different types of exercise, if it’s possible for you. When you do one type of workout all the time, your body tend to adapt to it. So if you could altern between running, biking and the elliptical, that would “surprise” your body and keep it from getting used to the workout. But if it’s more convenient for you to do just one kind of exercise, that’s fine too, doing HIIT while running is still great ! Did you notice any surprising results since you started this type of workout ? This is super helpful, thanks for responding! I have noticed a big difference in how I feel/look since working out this way. I’m adding in strength training as well, but haven’t been as on top of that as I am with my HIIT workouts. So I can only imagine the results once I get my muscles in gear!